My second set of Moo mini-cards arrived a few days ago. I'm delighted with this set too. My last set featured photographs of Greyfriar's Kirkyard and were intended to give to people who had been on my ghost tour and wanted my details. This new set are a bit more colourful and light hearted for general use where I don't want to scare people away. 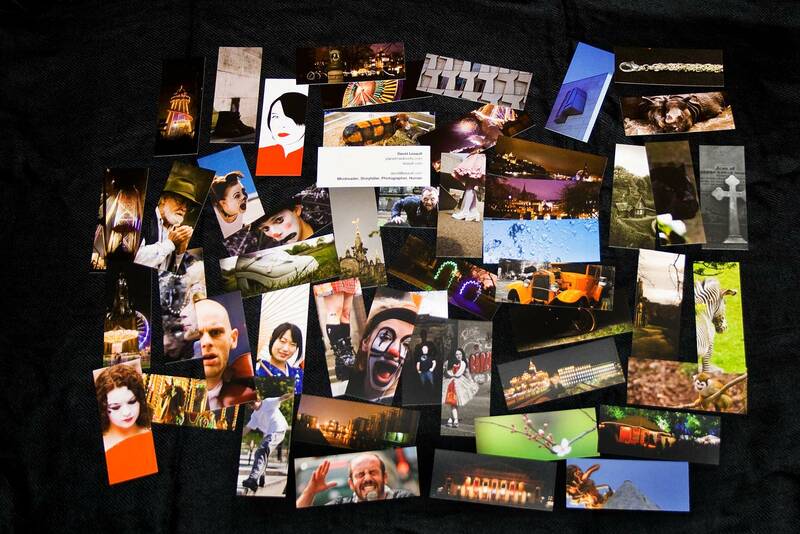 The thing I like about moo mini-cards is their quirky shape and size - they are different to any other business card anyone will have in their wallet (unless you're at a tweetup where everyone seems to have them!). I love that you can get many different images printed in one order for a reasonable price. Anyway, these are my newest cards - let me know what you think!